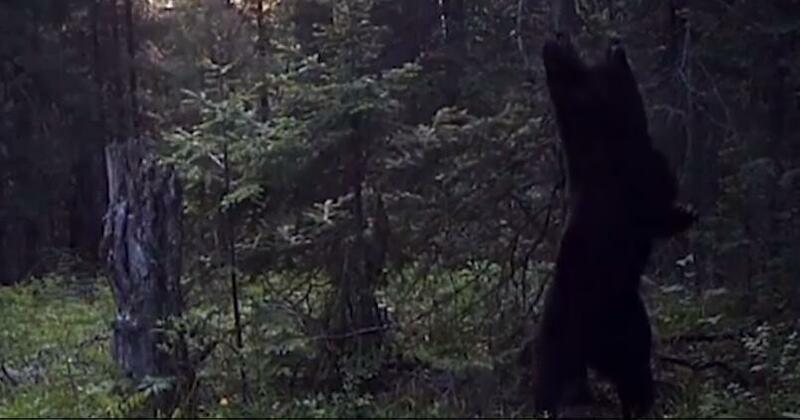 A massive bear has impressed with its dance moves which have been likened to those of a pole dancer. Swapping the pole for a tree in the woods the large brown bear gets to work scratching his back. The clip shows the animal standing on its hind legs to scratch is back on the tree's trunk, wiggling its hips and writhing with enjoyment. It then turns around and puts its front paws around the tree, rubbing itself rhythmically on the trunk. Experts say that bears leave their scratch marks and scent on trees to communicate to other bears that they are the boss around there. 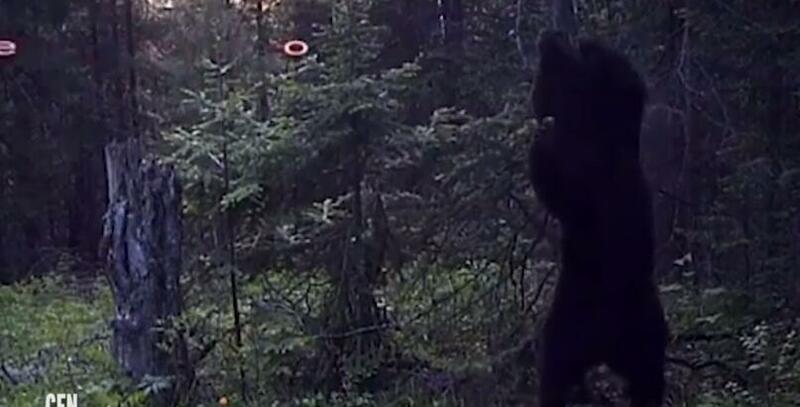 The footage was filmed by a remote camera in the Stolbi nature resort in the Krasnoyarsk Krai region of central Russia. Vladimir Kozhechkin from the Stolbi resort said: "Bears leave marks on trees. They scratch the bark with their claws and teeth, they rub their back against the trunks and leave shreds of their fur there and by this way mark their territory." He added that bears are more prone to behave that way during mating season, when every male bear is particularly interested in protecting his territory against invaders. After that season is over, bears become friendlier towards each other again and usually spread out to different areas in search for food. The exact species of bear seen in the video is not known.